Use the Interactive Viewers from the Live Access Server to explore and download gridded or non-gridded data following selected criteria (region, year, platform, etc.). Making maps and property plots is straight forward and a good way to to get a quick overview of the data collection. 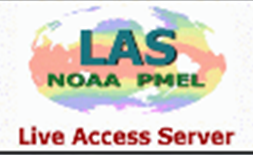 Global and regional synthesis files, as well as gridded files, are available as text files and netcdf, respectively, via the NOAA National Centers for Environmental Information. Matlab code is available for reading these text files. Individual data set files are archived in Pangaea and can be downloaded in text format from there. Recalculation in SOCAT V2 took place using Matlab codes by Are Olsen (University of Bergen/Bjerknes Centre for Climate Research). The Matlab codes can be obtained here. D. C. E. Bakker, B. Pfeil, K. Smith, S. Hankin, A. Olsen, S. R. Alin, C. Cosca, B. Hales, S. Harasawa, A. Kozyr, Y. Nojiri, K. M. O’Brien, U. Schuster, M. Telszewski, B. Tilbrook, C. Wada, J. Akl, L. Barbero, N. Bates, J. Boutin, W.-J. Cai, R. D. Castle, F. P. Chavez, L. Chen, M. Chierici, K. Currie, H. J. W. De Baar, W. Evans, R. A. Feely, A. Fransson, Z. Gao, N. Hardman-Mountford, M. Hoppema, W.-J. Huang, C. W. Hunt, B. Huss, T. Ichikawa, A. Jacobson, T. Johannessen, E. M. Jones, S. Jones, Sara Jutterstrøm, V. Kitidis, A. Körtzinger, P. Landsch?tzer, S. K. Lauvset, N. Lefèvre, A. B. Manke, J. T. Mathis, L. Merlivat, N. Metzl, P. Monteiro A. Murata, T. Newberger, T. Ono, G.-H. Park, K. Paterson, D. Pierrot, A. F. Ríos, C.L. Sabine, S. Saito, J. Salisbury, V. V. S. S. Sarma, R. Schlitzer, R. Sieger, I. Skjelvan, T. Steinhoff, K. Sullivan, S. C. Sutherland, T. Suzuki, A. J. Sutton,, C. Sweeney, T. Takahashi, J. Tjiputra, N. Tsurushima, S. M. A. C. van Heuven, D. Vandemark, P. Vlahos, D. W. R. Wallace, R. Wanninkhof and A. J. Watson. SOCAT quality control is carried out by regional working groups with a global group for coordination. The groups for SOCAT Version 2 can be found here. This website is hosted by Bjerknes Climate Data Centre and the ICOS Ocean Thematic Centre (Bergen, Norway). Please contact us to report problems. Friederike Fröb et al. examine the variability of wintertime fCO₂ in the subpolar North Atlantic. Suqing Xu et al. produce high resolution weekly maps of pCO₂ in Prydz Bay using self-organising maps. Hiring a technician @Geofysen @UiB @BjerknesBCCR to maintain ocean pCO2 systems operated by Norwegian scientists within @ICOS_RI @OTCCO2 . Open to BSc/MSc/PhD level people with a keen interest in obtaining high quality data.